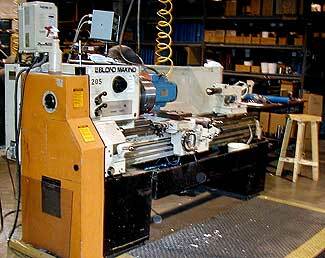 Low Quantity Machining - Unicast Inc.
For low quantity jobs we have five lathes and three knee mills equipped with rotary tables. Our experience is in machining all types of plastics and non-exotic metals. Our grinding department consists of four precision OD grinders to accommodate all your grinding needs of all our standard urethane blends as well as regrinds on your urethane or rubber rolls. We also have polishing capabilities to provide you with an ultra fine finish on your urethane and/or rubber rolls on specialty items such as print rollers. Knee Mills: 3 Knee mills equipped with rotary tables.